How do we get to Causeway Bay shopping mall and The One shopping mall from Rambler Hotel? 1. How do we get to Causeway Bay and The One shopping malls from Rambler Hotel? 2. Are there nearby banks(with ATM)in the Rambler Hotel? 3. Any nearby restaurants in the hotel that you can recommend? How much are we likely to spend for a decent meal (breakfast, lunch, dinner) in a day? 4. What essential things do we need to bring when travelling in this time of the year? Comments for How do we get to Causeway Bay shopping mall and The One shopping mall from Rambler Hotel? Hi Jom. Thank you so much for your help. By the way, the taxi fare from the Tsing Yi MTR to the hotel is around 26 HKD, so I guess the fare from the hotel to the Tsing Yi MTR is also around that amount and won't probably reach 54 HKD. There is also a bus at the back of the hotel (88F) which will take you to the Tsing Yi MTR station; if I remember correctly, it's around 3.2 HKD. The 30-minute walk from the hotel to the nearest MTR is quite exhausting (we didn't know that there is a bus outside the hotel until the 3rd day when we talked to our fellow travelers), but the view from the quite seaside is great. Re: How do we get to Causeway Bay shopping mall and The One shopping mall from Rambler Hotel? That would be in Hong Kong dollars. Hi Jom. For the website that you've mentioned, is the price quoted in Hong Kong Dollars? Or US Dollars? Thank you. 2) There are automated teller machines at Tsing Yi station such as Hang Seng Bank and Bank of China. There's also HSBC atm at Cheung Ching Estate. Just head northeast towards Tsing Yi road from Rambler Hotel. Most of the ATMs can dispense cash from most banks in the Philippines or other places. 3) Please click here for the list of food chains near Rambler Hotel. 4) It's almost winter in Hong Kong so I suggest you bring along a sweater in case. 1) Rambler Garden Hotel Hong Kong is rated 4-star hotel located at No.1 Tsing Yi Road, Tsing Yi, Hong Kong. *Take a taxi from Rambler Hotel to Tsing Yi MTR station, it will take about 12 minutes at HK$54, or walk for 29 minutes. 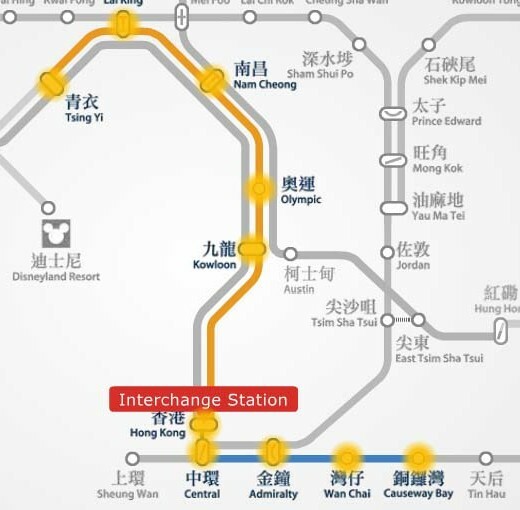 Take MTR trains at Tsing Yi station, look for the Tung Chung Line trains heading towards Hong Kong/Central but you need to get off at Hong Kong/Central Station and take the Island Line to get to Causeway Bay station. Only 28 minutes train travel, HK$11.8. *Take a taxi from Rambler Hotel to Tsing Yi MTR station, it will take about 12 minutes at HK$54, or walk for 29 minutes. 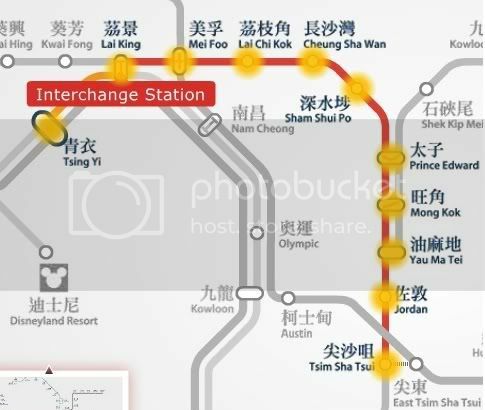 Take MTR trains at Tsing Yi station, look for the Tung Chung Line trains heading towards Hong Kong/Central but you need to interchange trains at Lai King Station and take the Tsuen Wan Line to get to Tsim Sha Tsui station, Exit B2. Only 24 minutes train travel, HK$8.4.